Butterfly World Project, based in Hert-fordshire, England, is destined to be the biggest butterfly conservation and education centre in the world. The £27-million ($43-million Canadian) project, conceived by lepidopterist Clive Farrell, will become home to some 10,000 tropical butterflies, hummingbirds, insects, spiders, and plants, whose preservation will be secured across a 27-acre site fittingly shaped to resemble a butterfly’s head. More than three-quarters of British butterfly species have declined in the last 20 years, and Sir David Attenborough and Dr. David Bellamy are two of the patrons lending their support to help protect one of the world’s most beautiful creatures. Phase I opened in 2009 and included lush wildflower meadows with gardens designed by British landscape artist Ivan Hicks. 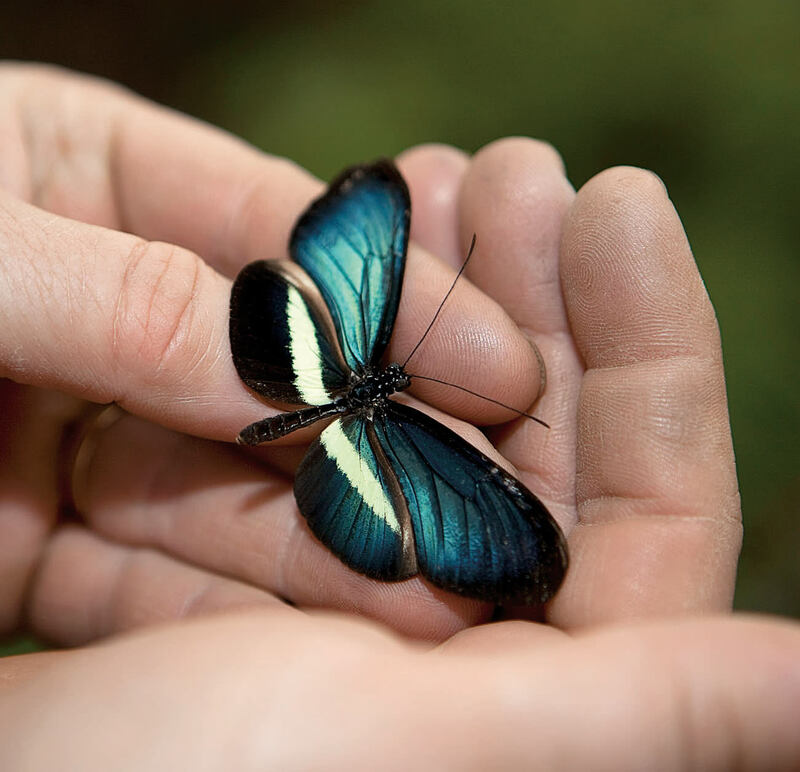 Later phases produced the Butterfly Breeding House, where you can witness a butterfly emerging from its chrysalis and inflating its wings to get ready for flight, and the Insect Study Centre, where you can handle African snails, beetles, and stick insects, and gaze at a striking Atlas moth, the largest in the world. The final stage, set for completion in autumn 2013, will see the construction of a 100-metre-diameter Biome, which will encapsulate a living rainforest complete with recreated Mayan ruins, rope walkways, and simulated tropical thunderstorms.